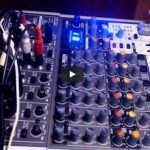 The humble podcast is a rapidly growing area in the world of online broadcasting, in which you can get started without spending a fortune on equipment and software. In the beginning, the individual can start using the built-in features of your computer, like Garageband. In this article, we are going to show you what options you have for launching your first podcast. A huge benefit about podcasting is that the softwares are often compatible with both MAC and PC, which means that you don’t have to change your laptop. To start a podcast, you need a working microphone and a recording software. Remember that most computer have built-in microphones, but they are not the best option given the fact that the quality of the audio won’t be great. The recording software doesn’t record voices only, but they give you the opportunity to edit them professionally and convert them into MP3 files so that they can be uploaded. Most individuals use Skype for interview-based podcasts due to the fact that the software is really straightforward, and it works flawlessly. Through its official website, every person can download it for both MAC and PC. The quality you get using Skype is far better when recording voice over the internet. If your guest is hardwired, the connection issues will disappear resulting in better audio quality, which can’t happen over the phone using the cellular internet. If your guest is using the built-in microphone on his computer, the quality of the audio will be far better than the one from a cell phone. In order to record both voice and video and then edit it in another program, you will need the help of eCamm Call Recorder (MAC) or Pamela (PC). Here’s a quick review of eCamm Call Recorder. Now here is a video showing how to use Pamela for Skype. There is another great option for interviews, and it is called Google + Hangouts On Air. That said, YouTube Live seems to be usurping that platform as Google seems to be shifting their focus lately. G+ HOA has some other magnificent benefits that make it so accessible. While recording your video chat, you can automatically stream it on your live Youtube channel, giving you the possibility to stream on multiple platforms without efforts. Moreover, you can embed the video on your website, and the visitors can watch it live. GarageBand – This is a music creation studio owned by Apple. It has an extensive sound library and a variety of instruments. The interface is quite intuitive, and you won’t have problems mastering it. If you are not looking forward to spending money, then GarageBand is going to do the job for you. Here’s a video featuring Pat Flynn of Smart Passive Income talking about using Garageband for podcasting. Audacity – is a costless and easy-to-use multi-track audio editor available for both Windows and Mac OS X. It doesn’t give you a lot of features, but it’s going to get the job done. Adobe Audition Cloud Software – gives you the opportunity to record simultaneously while using Skype and it offers a fantastic user-friendly interface that you will love. Mix, edit & create audio files with the variety of tools provided by Adobe for as little as $19.99 per month. Audio Hijack – is a software that records audio straight from applications such as Skype and Safari. You can also save your audio from hardware devices including your mixer and microphone. If your laptop has small speakers, the “Volume Overdrive” feature will increase the volume significantly. Differences between Free & Commercial Softwares? Most software that doesn’t require payment are lightweight, and they offer only a particular set of features. Commercial podcasting softwares offer numerous features, but they can be larger and slower to load. The percentage of people listening to podcasts during their day-to-day activities is increasing every single day. Podcasts are preferred by many individuals due to the fact that they are lightweight, and they can be played on phones, browsers, musical players and even in your car. Some companies use video while podcasting, but we’re confident that the future of podcasting consists of using mainly audio. Mixers are electronic devices that combine the level, timbre, and dynamics of the audio. It’s not a necessity, but it will undoubtedly increase the quality of your sound and it has some excellent features to offer. A mixer can cost you more than $400, but you will know that your quality is splendid, and the podcast can be edited with ease. 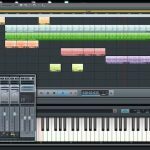 This software gives you the opportunity to record voices on separate tracks, making editing incredibly easy. You can cut whole pieces and silence any background noises. Now that you know the types of software, which one are you going to choose? Are you going to start with a free or a paid software? Have you tried any of the applications above and which one is your favorite? What Equipment Do I Need For A Live Podcast?